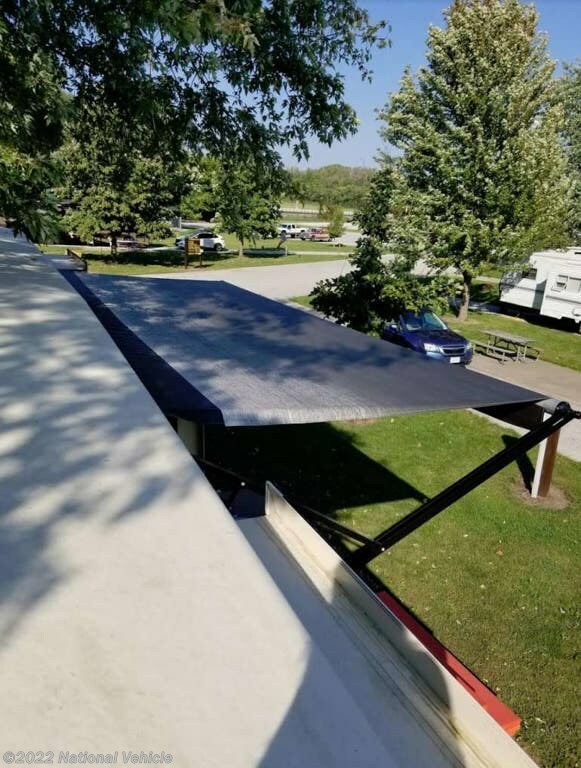 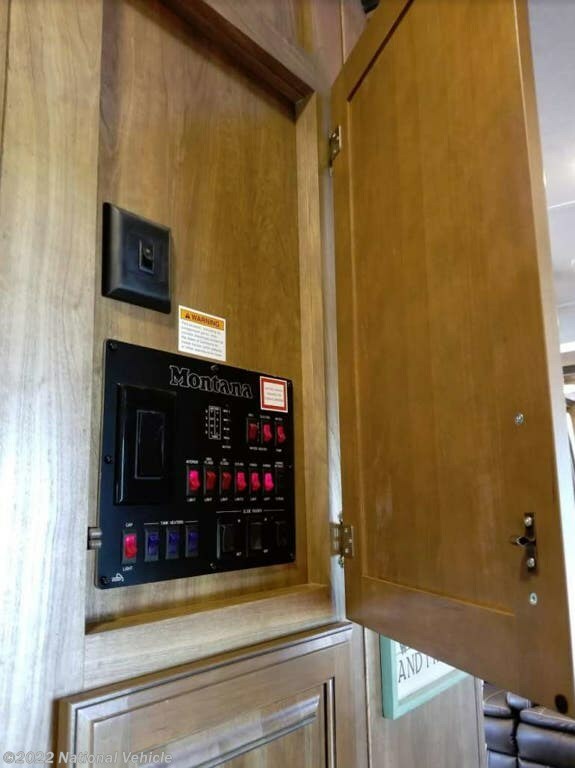 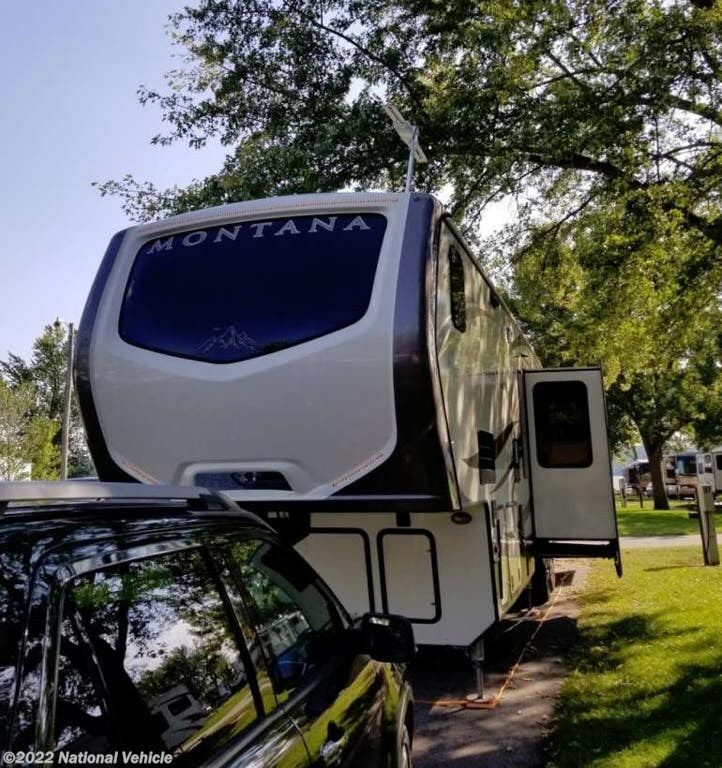 2017 Keystone Montana 3820FK 40' Fifth Wheel. 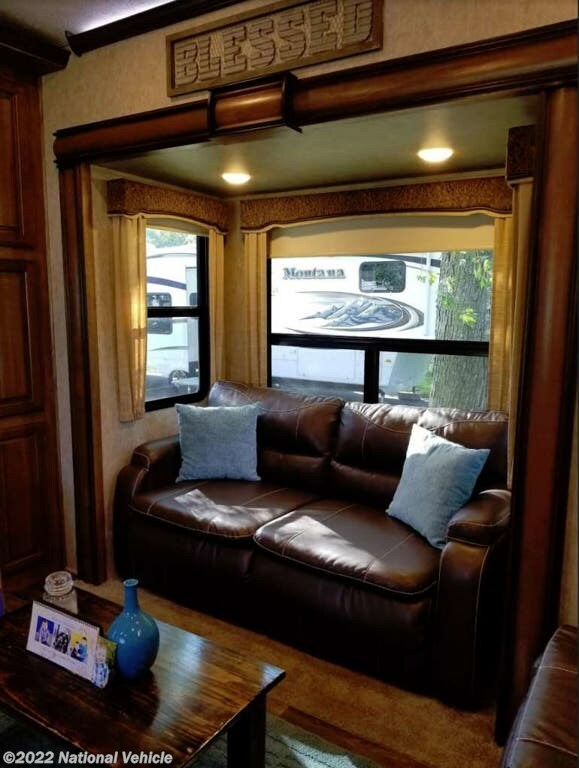 5 Slide Outs, Patio Awning, Sleeps 6, Dual A/C Units, Auto-leveling System. 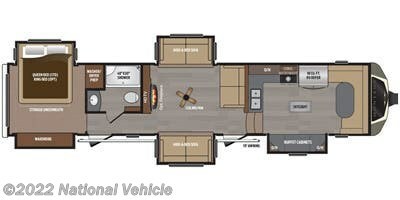 This Keystone Montana fifth wheel model 3820FK features a front raised kitchen that will make you feel like you haven't left home. 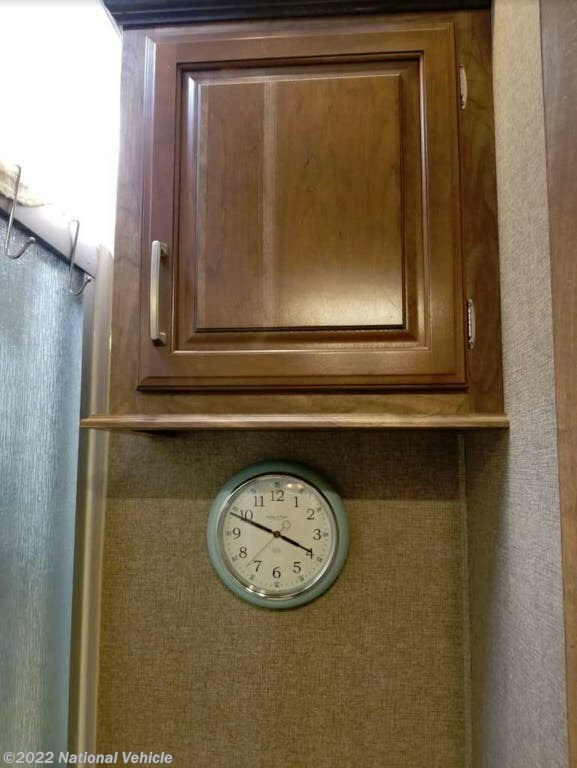 There are five slides throughout the unit giving you plenty of space to move about. 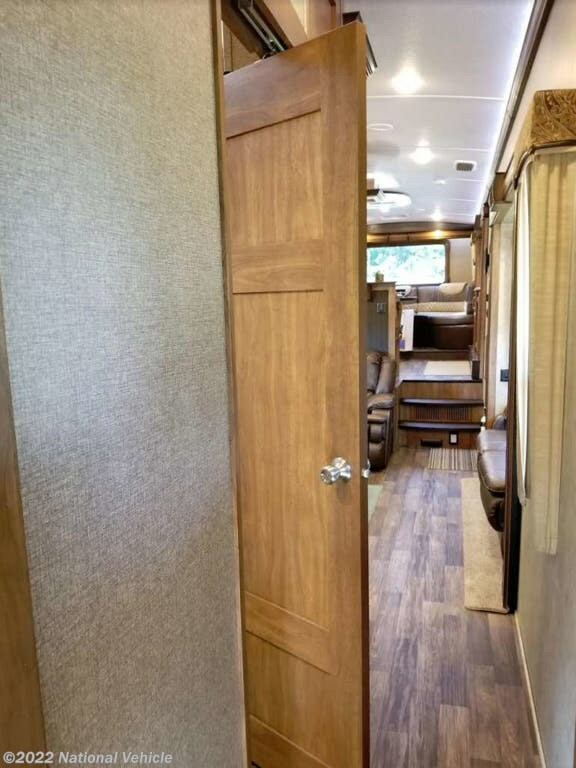 There are also dual entry doors, plus more, check it out! 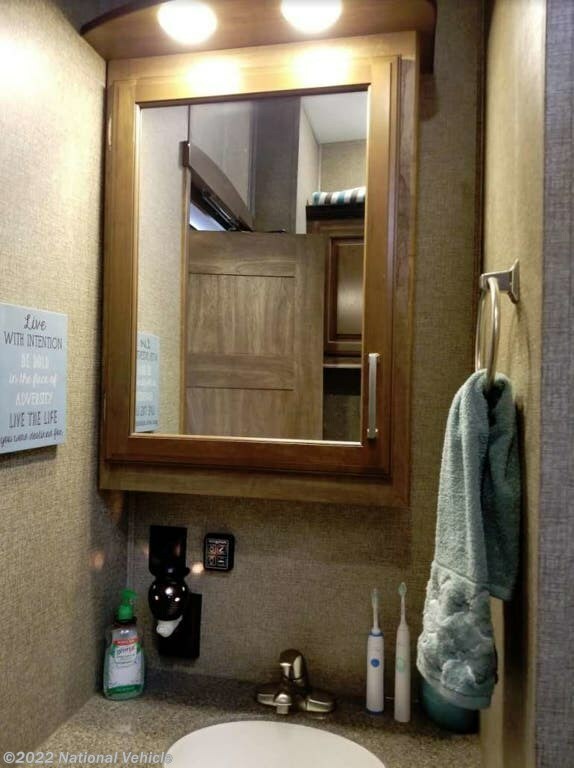 Step inside the rear most entry door and find a conveniently located bathroom almost across from the door. 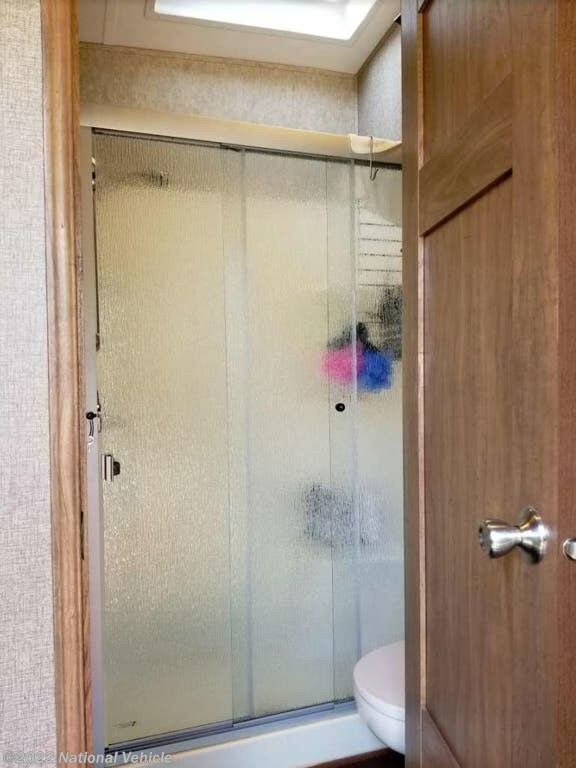 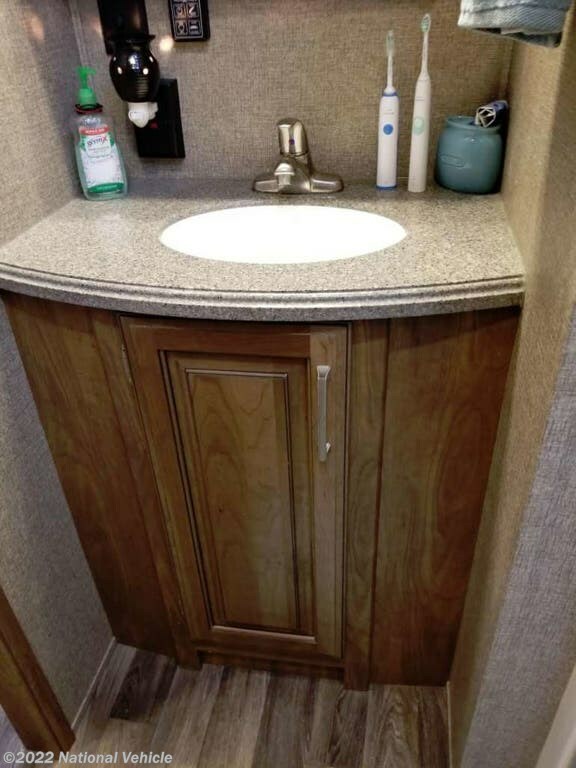 Inside you will find a 48" x 30" shower, toilet, and vanity with sink. 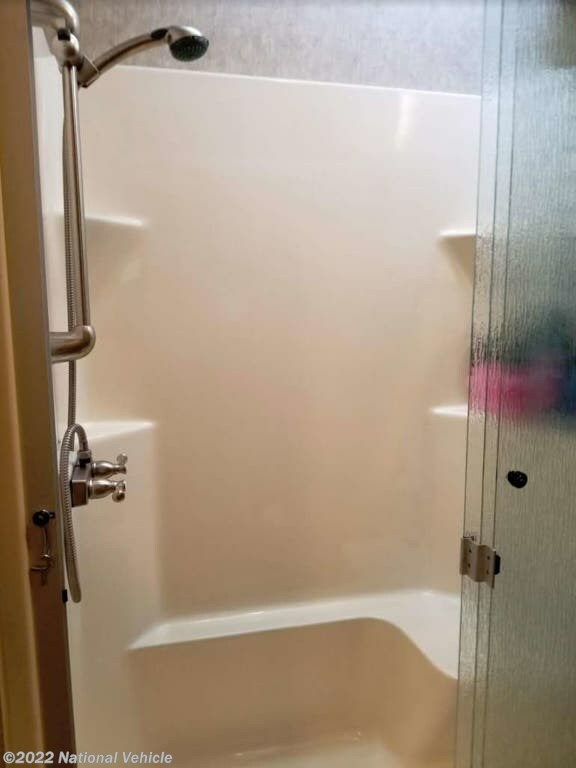 Head left at the same rear most entry and find the master bedroom which features dual opposing slides. 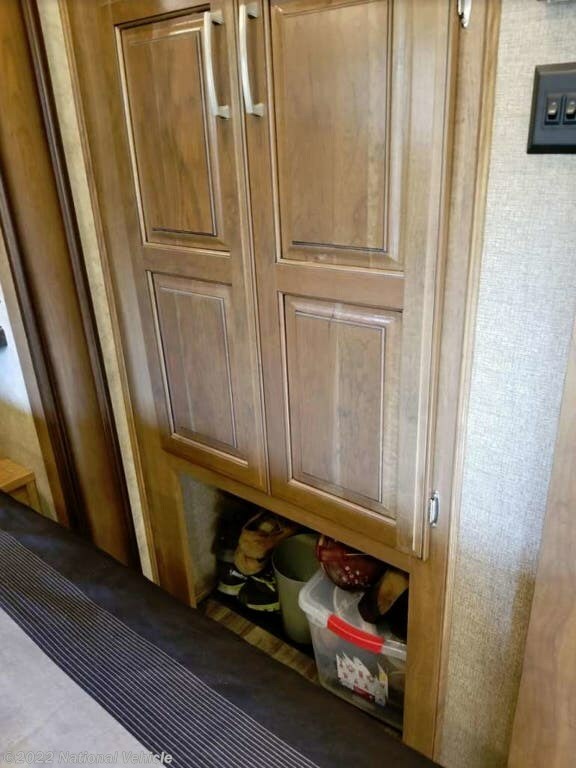 A slide out wardrobe along the curb side, and a slide out queen along the road side. 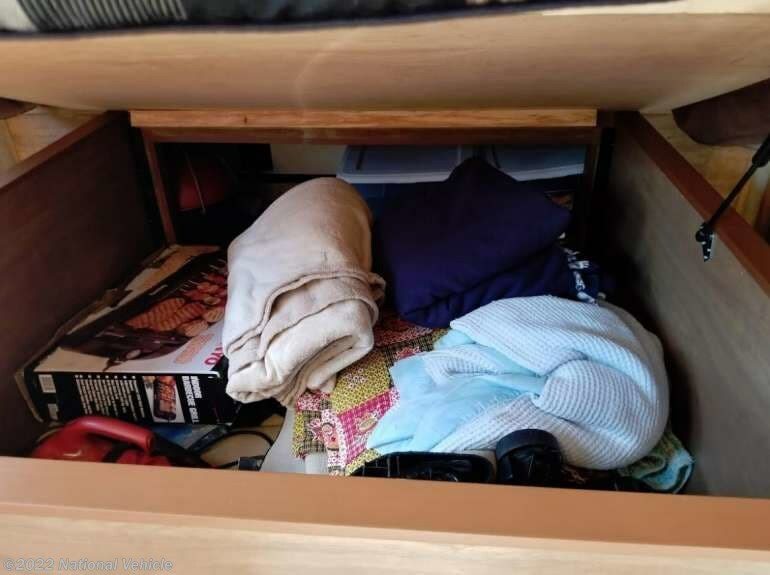 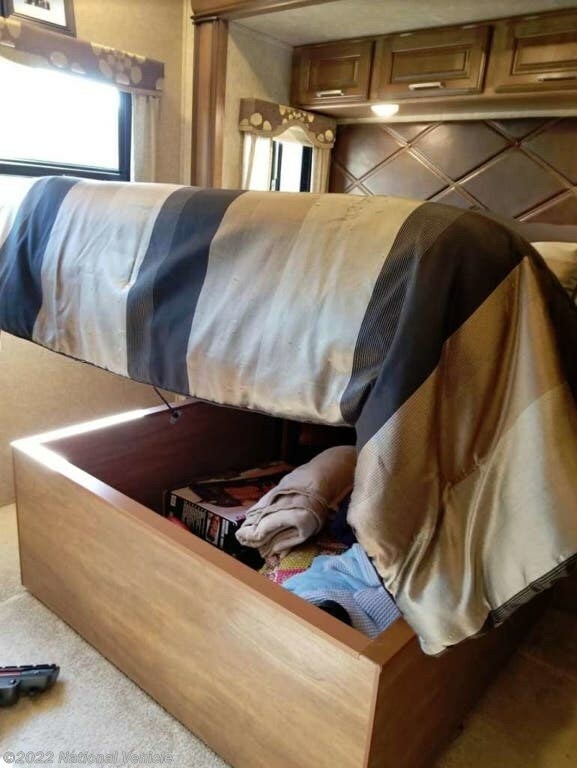 The bed features storage beneath that is perfect for extra bedding, and luggage. 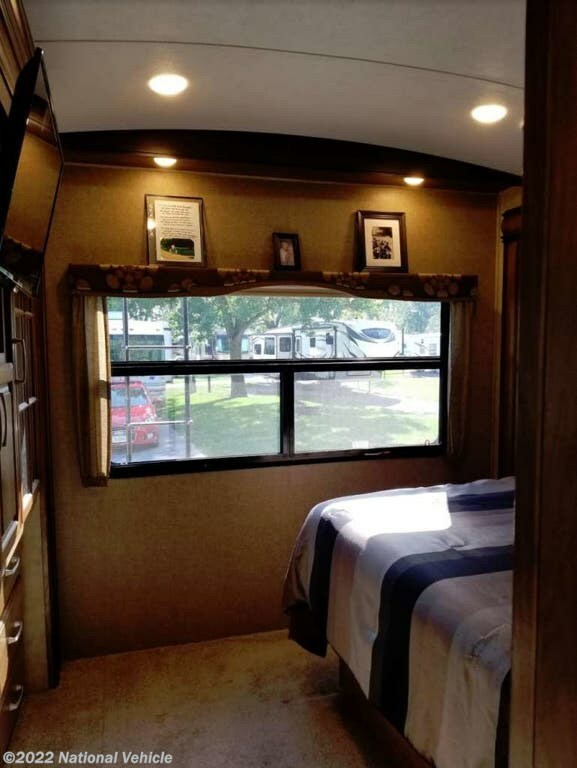 Near the front of the bed along the shared bathroom wall you will find a washer and dryer prepped space. 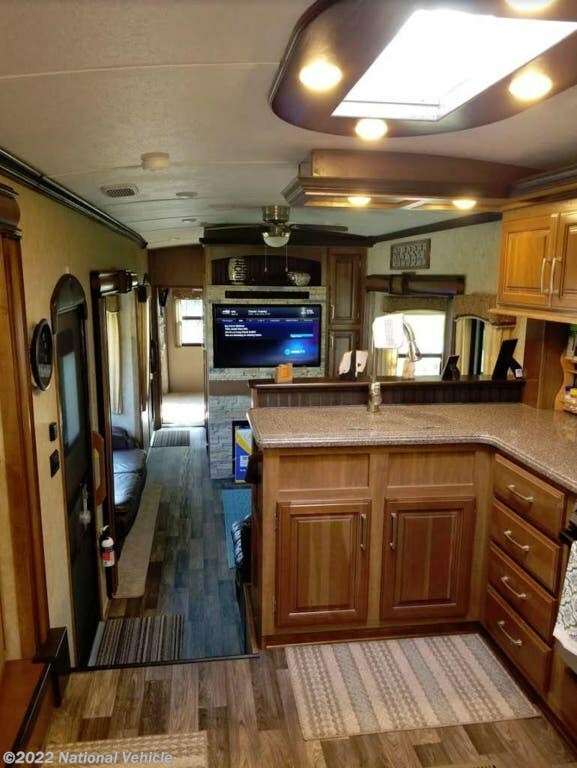 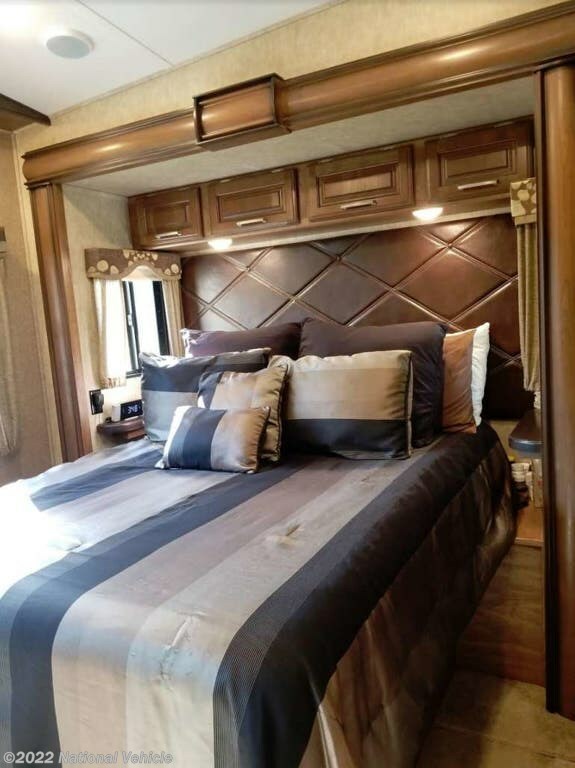 Down the hall toward the front of this Montana fifth wheel you will enter a spacious central living area thanks to another set of dual slide outs. 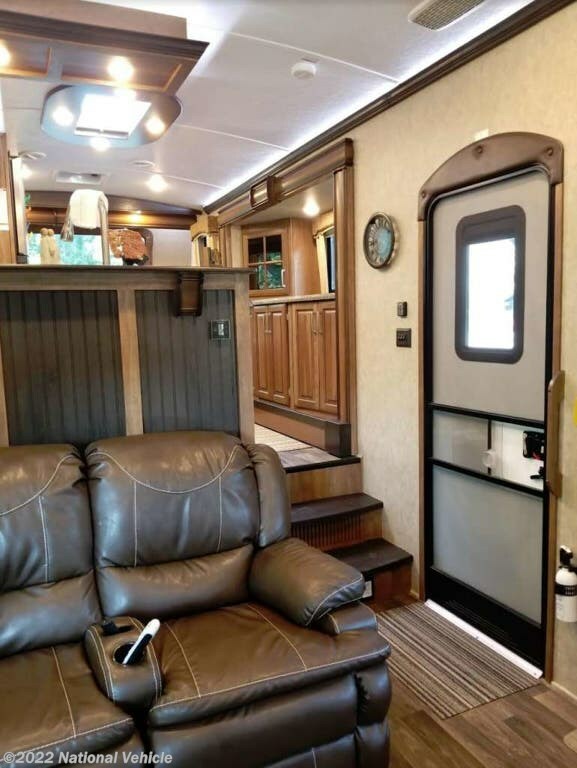 Here the slides each feature a hide-a-bed sofa. 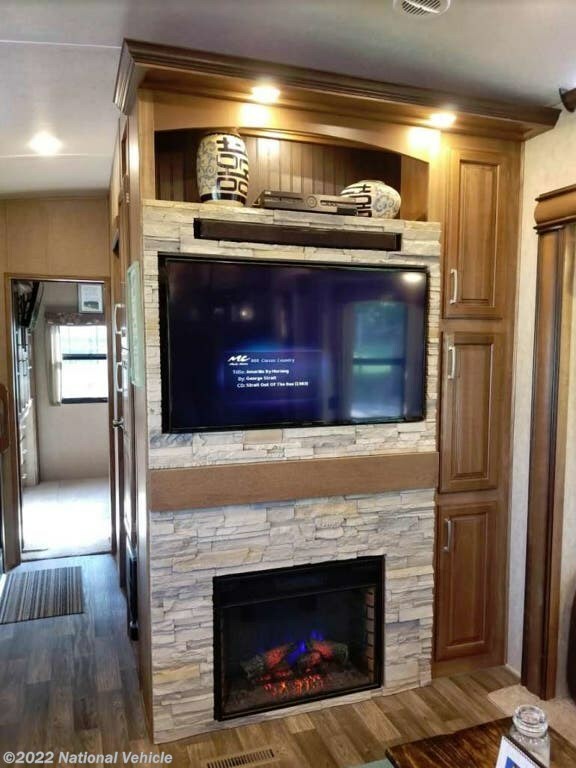 Along the interior wall shared with the bathroom enjoy an HDTV and fireplace. 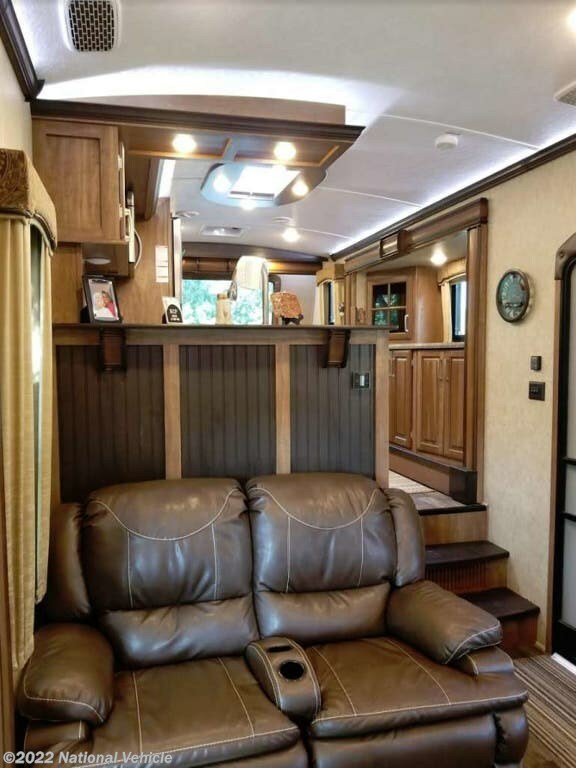 There is also theater seating. 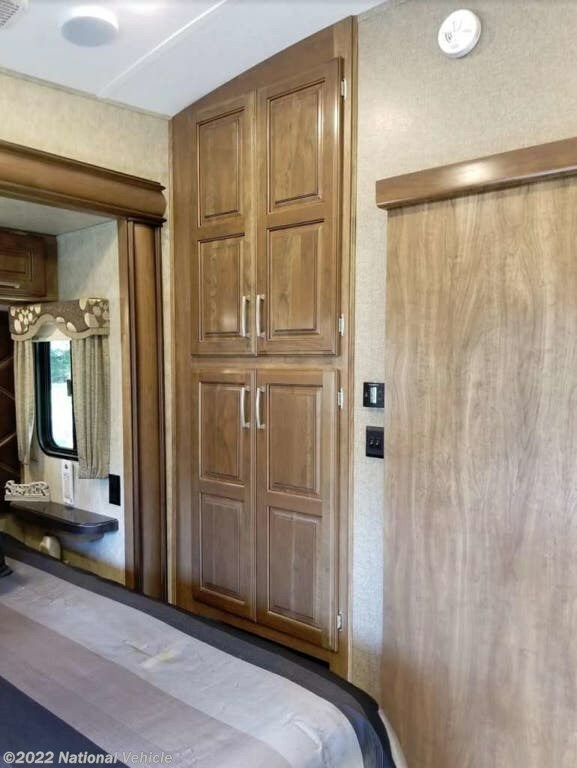 Head up the steps just to the right of the second side entry door into the raised front kitchen. 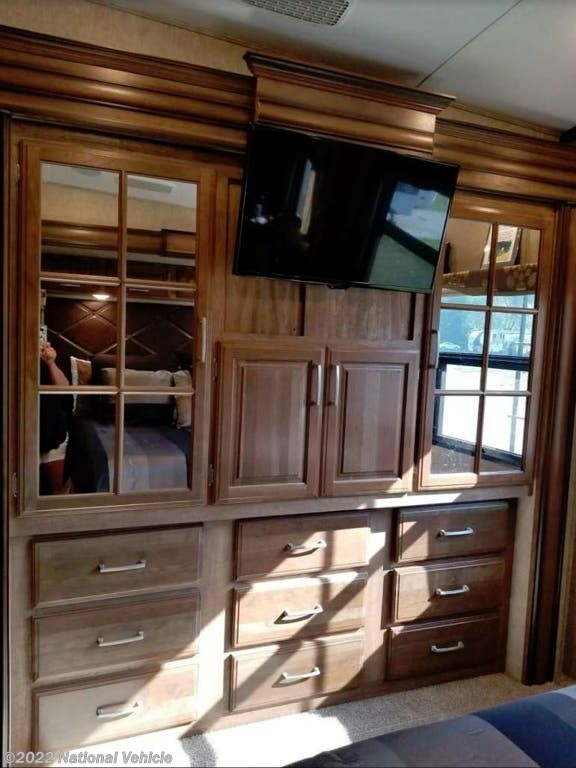 Here you will see a slide out buffet with overhead cabinets for plenty of storage. 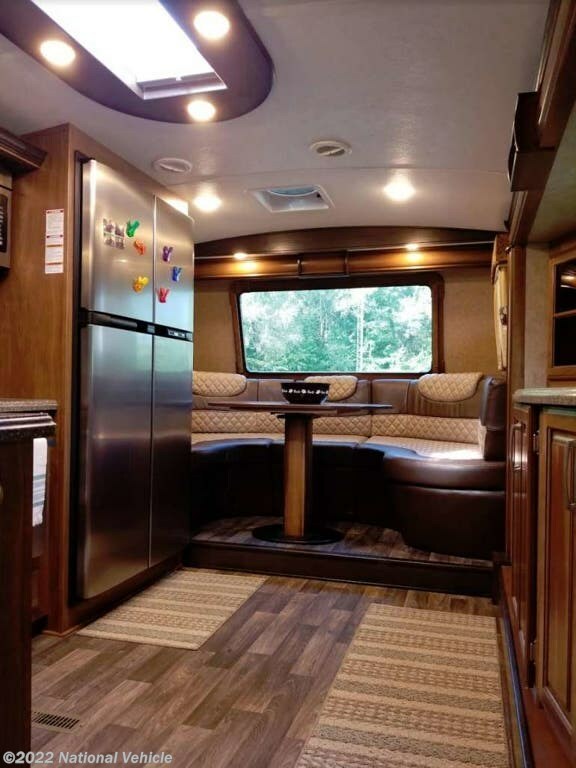 A u-shaped dinette fits across the front for gathering to enjoy a meal cooked easily with this great setup. 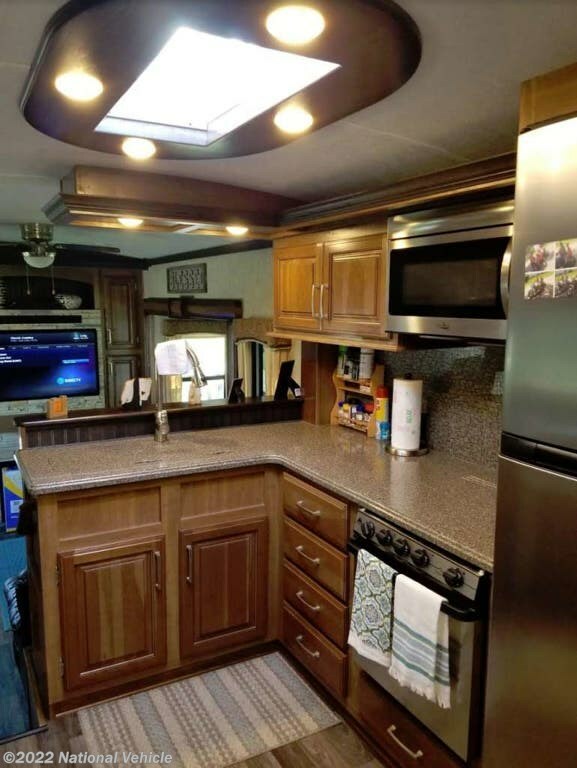 There is an L-shaped counter with a double sink, a three burner range with overhead convection microwave oven, and a RV refrigerator, plus center skylight. 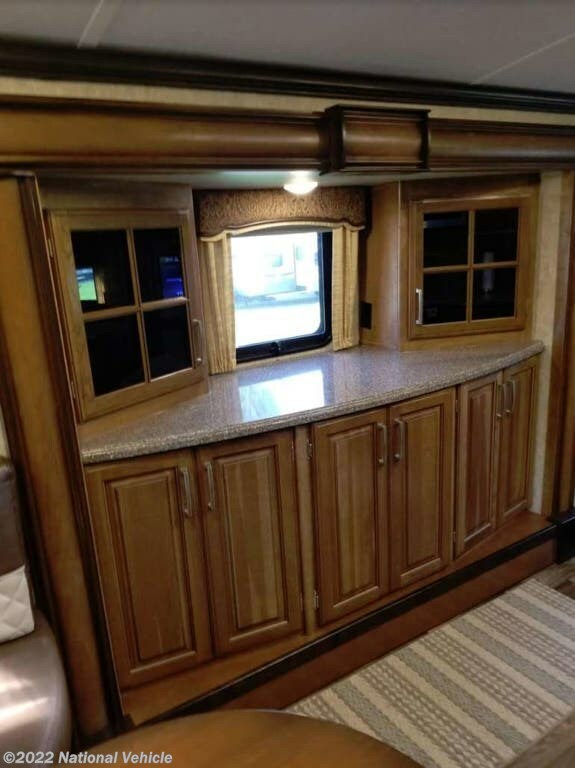 You will also love the exterior storage for outer camping gear, plus so much more! 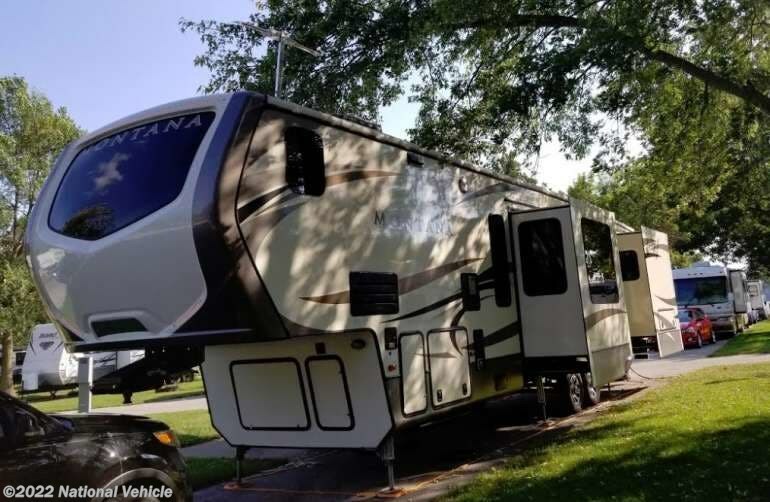 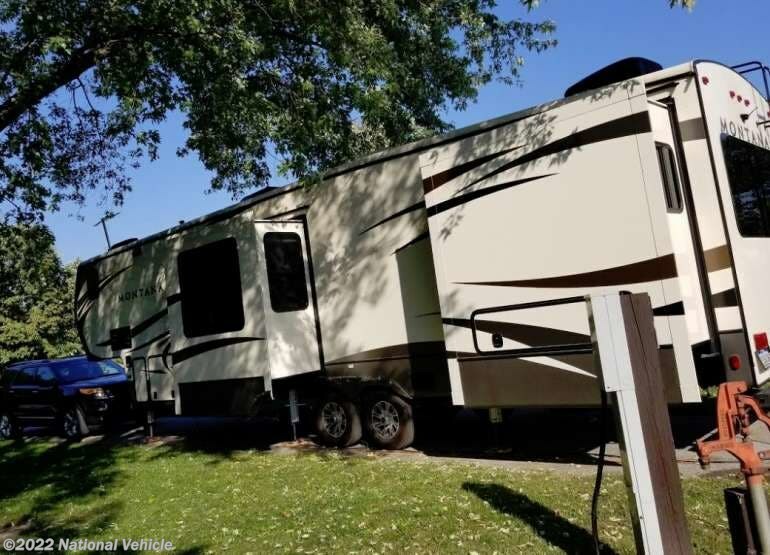 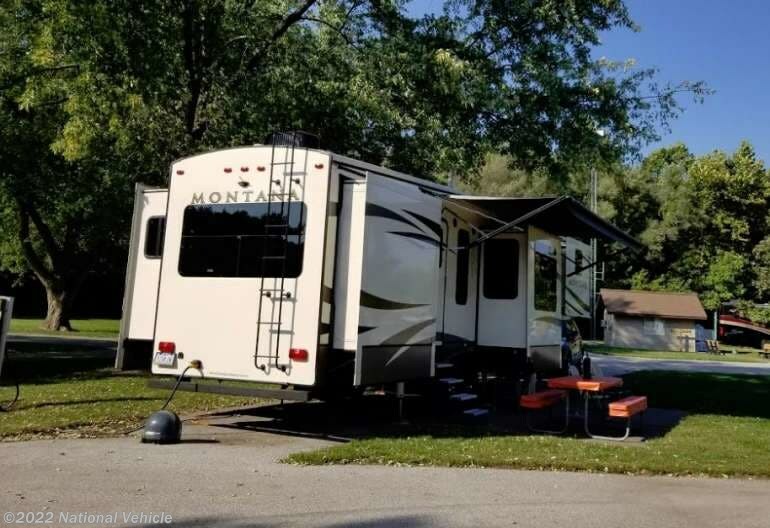 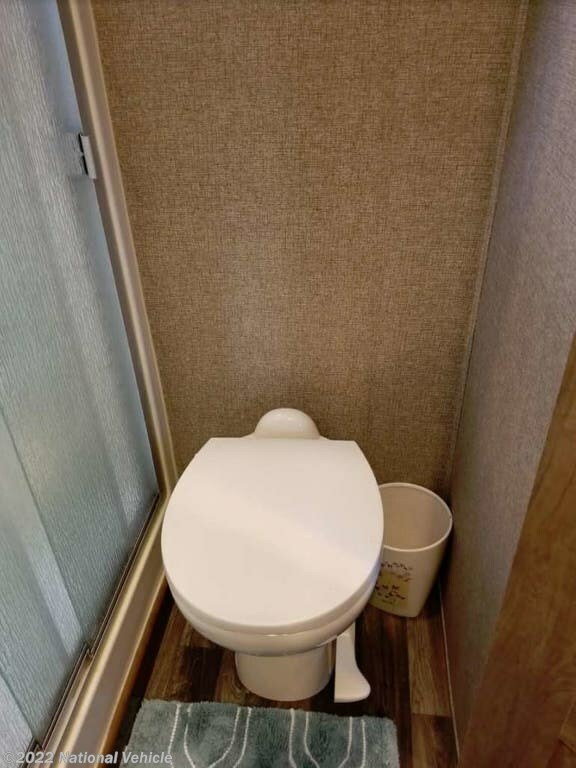 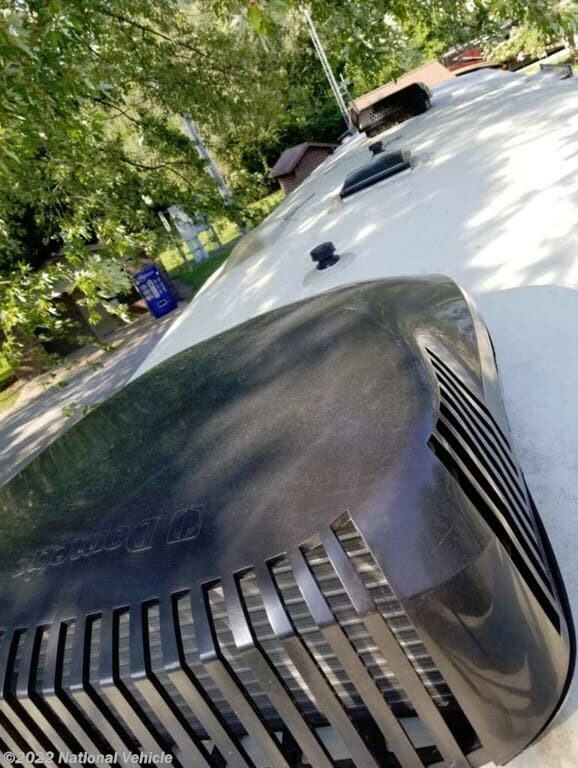 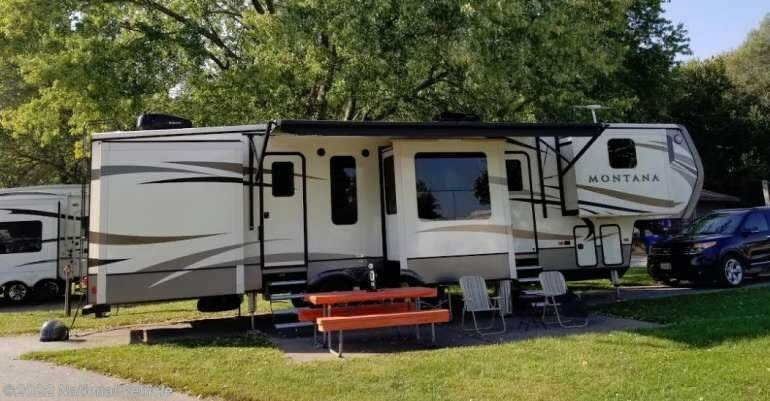 *This 2017 Keystone Montana is located in Lowden, Iowa.  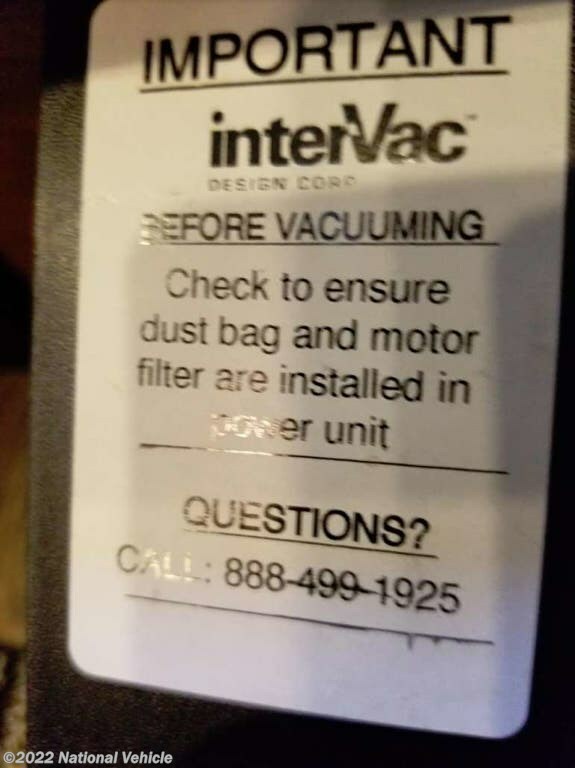 Please call 1-800-320-9557 and mention listing id: 136694. 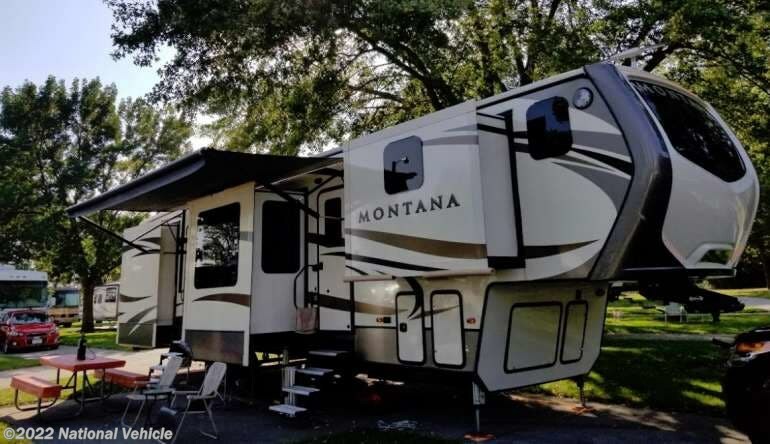 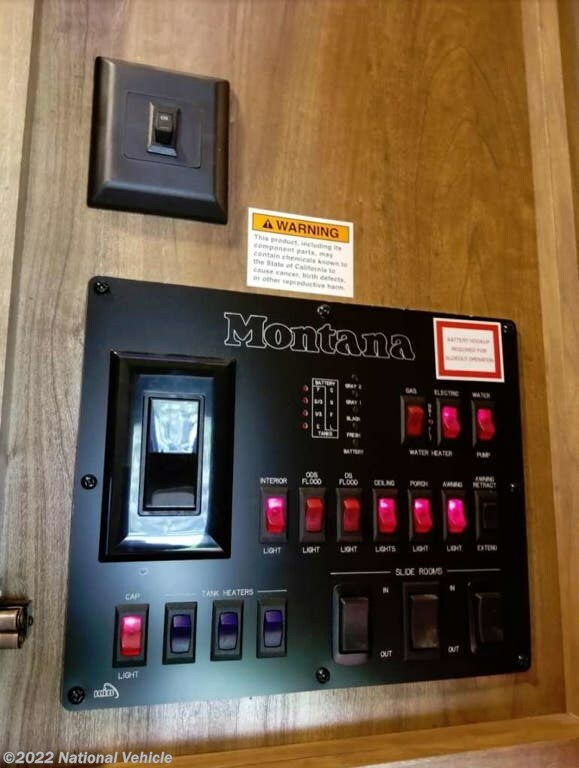 Check out Stock # c68760 - 2017 Keystone Montana 3820FK on keystonervsource.com!